Hello! 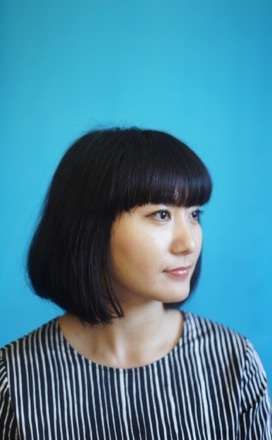 My name is Mariko Higaki Iwai, and I am a product designer. Growing up in Tokyo and Madrid, I learned how to be comfortable between two worlds. These contrasting cultures have taught me that communication without assumption and connecting the dots were the key to understanding people. This curiosity led me to design. I am interested in the space in-between: art/science, physical/digital, and people/product. One of my greatest loves as a designer is to be a part of the moment where collaboration boosts creativity. Usability research, ideation with my team, and actively seeking feedback is my fuel to creating better design. I also hold dear the “zen moments”, my focus on details. Cutting papers precisely for mockups, organizing comps for UI, blending curves on 3D models, and sanding for hours, this focus calms me. Both inspiring collaboration and quiet refinement is essential for my design process. In-between, there is a space where ideas connect and designs are born.